Michael Andre McPherson has worked in film and television, construction and web production. Along the way, he earned a B.Sc. from the University of Toronto. Before settling down, he visited nearly every country with a "stan" in the suffix—very educational adventures. Mike’s previously published short stories are collected in the anthology, Summer of Bridges. 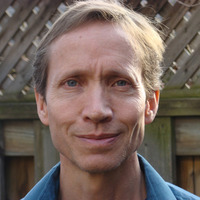 Mike’s stories have won numerous awards, including the Great Canadian Story Contest and the Bony Pete Mystery Award at the Bloody Words Mystery Convention. To ask Michael Andre McPherson questions, please sign up. Michael Andre McPherson Meeting new people and going new places—in my head. Actually, I love going places to research my work too. I've been to nearly every country in…moreMeeting new people and going new places—in my head. Actually, I love going places to research my work too. I've been to nearly every country in central Asia, through most of eastern Europe and Russia, and of course through several great states in the USA. Fun memory: I had lunch in a restaurant in Romania where Vlad Tepes (aka Vlad the Impaler, aka Dracula) was born. It's odd travel but it's a lot of fun.
" While I don't post much (at all) I do read many of the posts. I guess that makes me a lurker. Sorry, Canadian. Don't talk much. But I find the group f While I don't post much (at all) I do read many of the posts. I guess that makes me a lurker. Sorry, Canadian. Don't talk much. But I find the group fascinating. I wouldn't be surprised if you discover that the group is already larger than you think, but some of us are just listeners. I don't think larger would be bad. BTW: thanks to all of you for your lively conversations. You broaden my perspective. ...more "
" Ruben wrote: "All these clown sightings lately makes me wonder if Stephen King is behind it all. Pennywise would be proud." I am curious if this was an Ruben wrote: "All these clown sightings lately makes me wonder if Stephen King is behind it all. Pennywise would be proud." I am curious if this was an attempt at viral marketing that went awry. All summer they've been shooting a feature film adaptation of Stephen King's "IT" in Toronto. I accidentally went onto their craft truck when the show I was working on (Mary Kills People) was in an adjacent parking lot. If so, I'm guessing the studio has deleted any Facebook or Twitter posts that they used to start the trend, and they're keeping their heads down so people don't connect the dots and sue them. ...more "
" I don't know if this is a challenge, but I'm reading a P.A. book per month and meeting to discuss it with a post-apocalyptic Meetup group here in T.O. I don't know if this is a challenge, but I'm reading a P.A. book per month and meeting to discuss it with a post-apocalyptic Meetup group here in T.O. My personal challenge is to keep up with that group (I have since it started last summer) and keep up with our Goodreads group after they finish The Stand. By coincidence, I read The Stand a year ago (1st time) and I wasn't ready to re-read it. ...more "
We’d love your help. 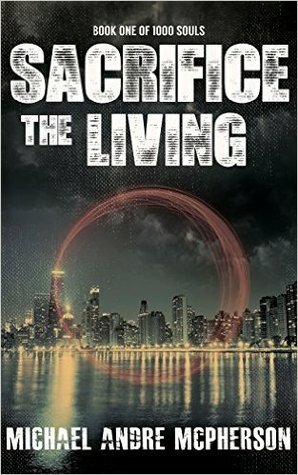 Let us know what’s wrong with this preview of Sacrifice the Living by Michael Andre McPherson.
" Gertie wrote: "The 100 season two is on Netflix now, yippee! Love this show." The 100 Season III has been shooting in Vancouver since July. Going until Gertie wrote: "The 100 season two is on Netflix now, yippee! Love this show." The 100 Season III has been shooting in Vancouver since July. Going until end of January. Who knows? Maybe I'll get a couple of day calls on it before I head back east. That would be fun. ...more "
I found the book a page turner, but to me the greatest sin any SF author can make is to be inconsistent within their own reality. When the lions break out of the zoo and attack, in hindsight it makes sense—LA, pollution, cell phones I found the book a page turner, but to me the greatest sin any SF author can make is to be inconsistent within their own reality. When the lions break out of the zoo and attack, in hindsight it makes sense—LA, pollution, cell phones by the ton. But then the same month our hero, Oz, goes to the most remote part of Botswana possible. Urbanites (I am one) will be surprised that going only ten minutes drive north of the Vancouver suburbs there is no cell service. Not even from the mountain tops, 1.5 kms up. Same for most of Northern Ontario, even just 40 minutes drive from Ottawa, Canada's capital. I'm willing to bet that the delta in Botswana is equally short of cell towers. It's also very far from any city, so it probably has very low carbon pollution. But the lions are going CRAZY, killing all the tourists. The rinos are acting equally weird. Oz makes it back, and FOUR YEARS go by. Finally, animals in New York start to go off the deep end. They should've be FIRST if it's hydrocarbons and cell phone towers that are causing HAC. Don't even get me started about how three days without fossil fuel consumption ends the problem. Hyrdrocarbons will linger for years. Also, what's been going on in Botswana over the last four years? No one noticed that tourists go in and never come out? National Geographic, where are you? I've read a couple of Noah biblical apocalypse books lately, and I think it's time to move on from the flood. In this case Oz is Noah. Only he and his followers hear the word of God/Gaia. They try to warn the evil sinners (in this case fossil fuel consumers), the world is swept away by a flood (HAC), and Noah and his followers end up on an arc (is this case Greenland) at the end of the book, waiting for the waters (HAC) to subside. It doesn't strike me as a very original story. We’d love your help. Let us know what’s wrong with this preview of Zoo by James Patterson.
" I'm just floored that dinoporn exists, let alone that someone created covers. I wonder what the designer was thinking: "It's a gig." Of course, perhap I'm just floored that dinoporn exists, let alone that someone created covers. I wonder what the designer was thinking: "It's a gig." Of course, perhaps they're author created. 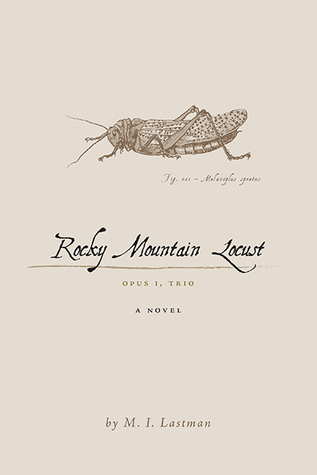 ...more "
PLEASE VOTE FOR A BOOK YOU'D LIKE TO READ for a bonus mid-October book, written by a member of the Apocalypse Whenever group! This is poll #1 to narrow down the options. Please keep the voting fair (no campaigning outside the group to pad the numbers); only members who will actually read and discuss with us should be voting. (Chances are we will do more than one bonus read in upcoming months, by the way.) Happy voting! 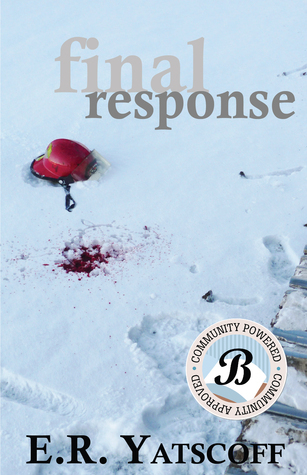 "A man is struck by an unknown illness high over northern Canada. The plane is forced to make an emergency landing in an isolated northern town. When he awakens, he finds himself naked and cold in an empty hospital. He soon discovers that the town is deserted and all its people missing. Alone in the unforgiving winter, he must struggle to survive and uncover the truth. Nothing can prepare him for what he finds." 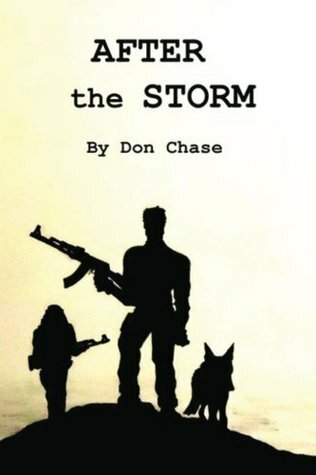 "After the Storm is a post apocalyptic novel set five years after a meteor wipes out 95% of the population. 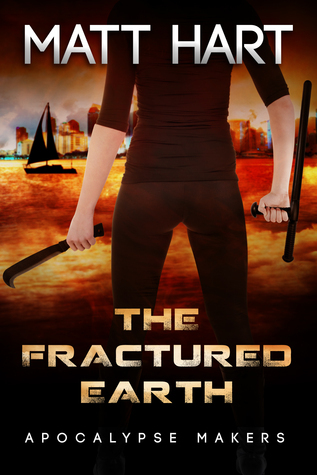 A group of survivors in Boston have to find ways to survive and contend with a reemerging government that wants to take back control after deserting them for years... Hilarity ensues." 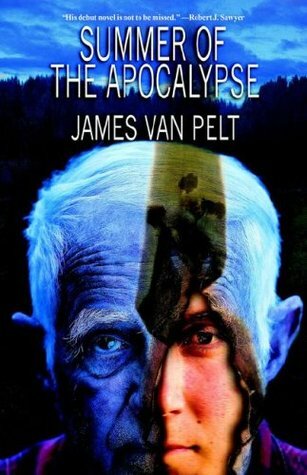 "The world collapsed after the spread of the hyper-aggressive H5N1 Avian plague and several airborne mutations. By simply breathing the air, billions around the world died in less than a few months' time. Airborne Special Forces Colonel Connor MacMillen survives the dark and dangerous times. DEVASTATION POINT begins with Connor Mac's exploits in the fifth year of the New Dark Ages as he encounters a strange and changed America turned upside down by the "Cuckoo Flu". " 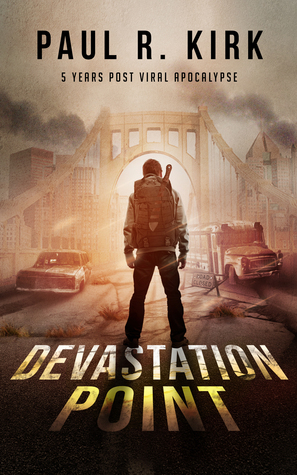 No zombies, no romance, just an adventure through the apocalypse. "After the end of the world, every survivor must choose who to become... Victim? Or villain?" "Everyone is dead. All that remains is an old woman and a gymnasium full of unresponsive bodies. Each day, another storm approaches, threatening to destroy the building they call home. 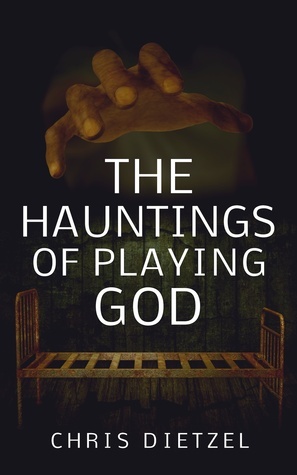 Each night, a series of nightmares leaves the woman screaming for help. Alone and overwhelmed, will the final member of the human race be thought of as a caretaker or as a monster? 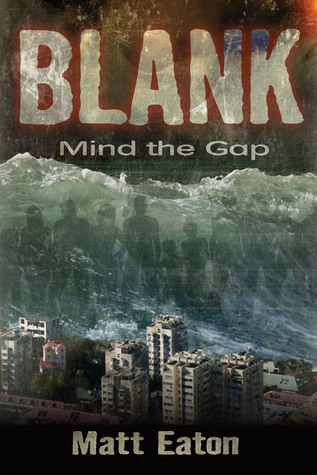 Review: "The storyline is fast-paced, and thrilling, the commentary a sensitive and thoughtful discourse on 21st century life and times. Read it and weep.” Susan Koswan, KW Record. “This is one of the best books I have read in a long time. . . the story riveting and the characters believable, . . . it is also terrifyingly plausible, and maybe even inevitable. This is a MUST READ for every adult. 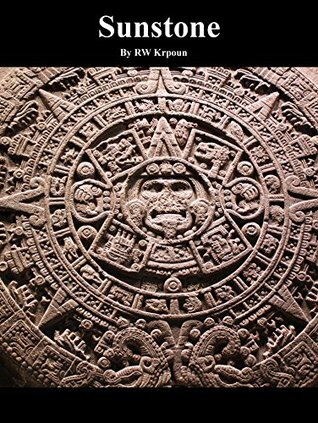 . ."
"The oceans of the world rise five metres without warning on the heels of a massive solar event." "A 30-something guy and his friends head off on a cross-country road trip through a post-apocalyptic wasteland to find one woman and a whole bevy of problems." 2058. 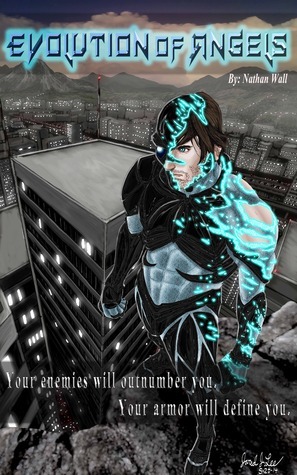 As the struggle for dwindling resources plunges the world into chaos, and "Mindlink" technology opens cyberspace to the masses, injured soldier John Raimey is transformed into a powerful bionic warrior to retrieve the King Sleeper: a computer hacker so devastating on-line, he can decimate government infrastructure, subliminally persuade the masses, and even kill. " 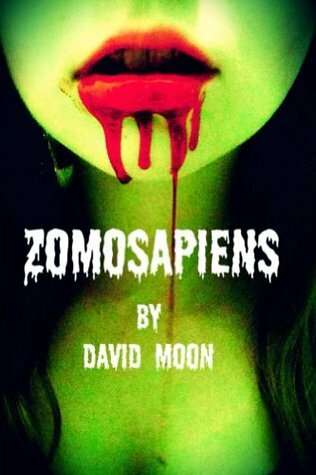 Review: "[...] another book on zombies but this one turned out really good. I found it refreshing and absolute creativeness. Nowadays U can go down the list of copy vs copy of authors who feed off of each others work with a newly added twist/ This book parts from the mundane with a fresh approach and shows someone capable of taking a rehashed subject and making it a worthwhile read. I hope he writes more. " 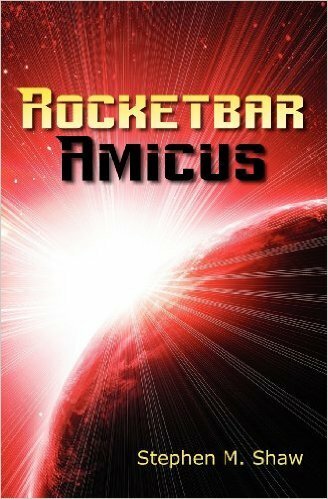 Kindle $2.99 (he'll drop it to 99 cents if it becomes a group read), Paperback $12.99. 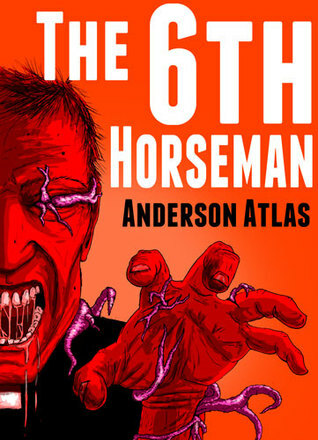 "With half the company changing their hours to the night shift, and murders occurring through Chicago at an alarming rate, Bert and his friends infiltrate a strange society of hybrids bent on forcing an evolutionary change on humanity. Some will be slaves, fodder for the new hybrids, but most of the living will be sacrificed to feed the dead. Only a revolution can prevent the destruction." 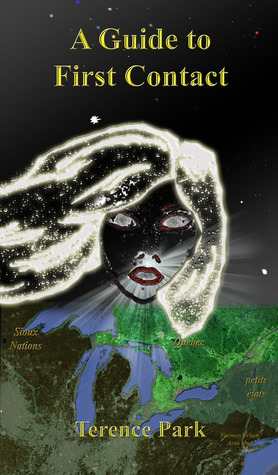 "Sunstone is an alternative-history novel set in 1912. Three Pinkerton agents ride deep into revolution-torn Mexico on the trail of a wanted man and find themselves caught up in a web of horror that dates back centuries and threatens the world they know. " $3.99 for Kindle, $12.99 paperback. "Ready to give up his fight with cancer, Jack Taggart wakes from surgery to find 350 years have passed. 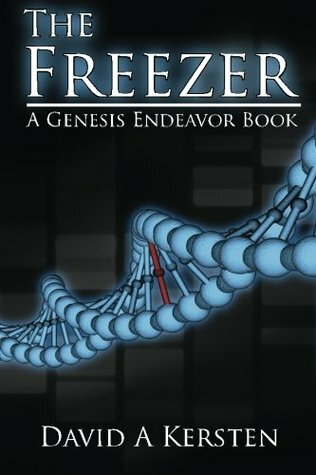 As one of the few people remaining on a scorched earth, he is now tasked with the fight to save humanity, a fight that will revolve around a recently discovered pre-war military bunker dubbed “The Freezer”"
"I think the group would find it refreshing since the story is unique. A virus kills most of the population (which is very typical for this genre), but the story takes a different focus. Most of the survivors have it easy since resources are plentiful. But a nineteen-year-old girl who is a type 1 diabetic will die if she can't figure out how to make insulin." "The Polar Vortex has grown stronger with every winter, ravaging northern cities, and forcing an evacuation of a major city until springtime. Firefighter Captain Jack Sellars and his men are contracted to protect the city with one mandate: don't let the city burn down. 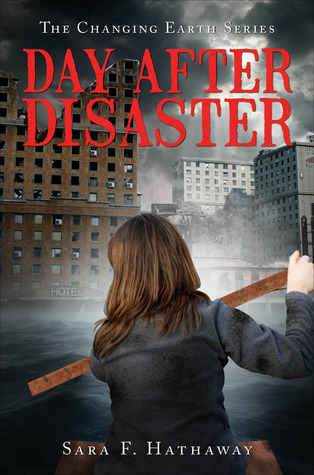 With no power or gas, and all the citizens gone, what could possibly happen?" 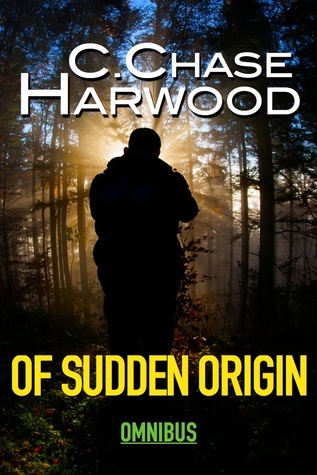 A review: "You can't give a man who lives in the woods a book like this! Absolutely rocked my socks off. Non-stop OMFG action. The writing on this one was top notch. Great story plot. Great timing. Characters were awesomely developed. You just do not know how this one will end. If you like Zombie Apocalypse stuff then you will love this. Read it now before it's too late!" "
Print Price soft cover: £15, hard cover: £25. 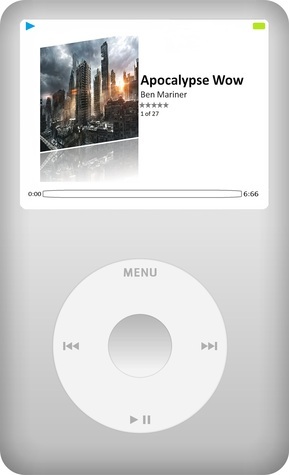 "Alternates between the present day & a post-apocalyptic future. Civilisation collapses but why? Is it the aliens? the post-humans? the genetic plague? Or the new super-power: the Mandat Culturel? Triste is a mercenary & makes enemies for fun: sub-human, post-human, alien. He finds pieces of the puzzle. Events draw in beings as old as the stars. 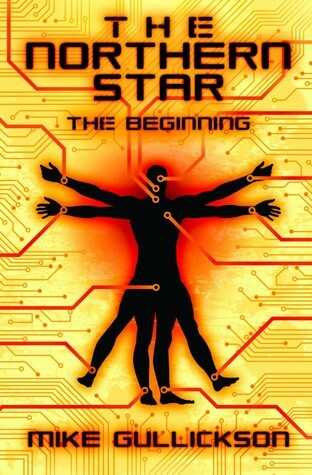 New twists on First Contact, the Rapture and God." 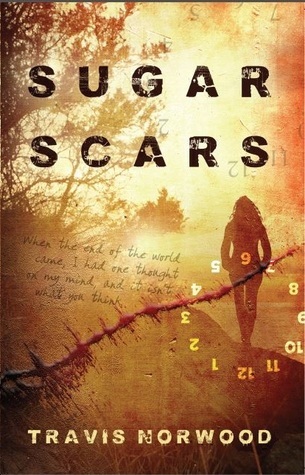 "When a plague wipes out most of humanity, fifteen-year-old Eric sets out to find his father. Sixty years later, Eric starts another long journey in an America that has long since quit resembling our own, but there are shadows everywhere. Shadows of what the world once was, and shadows from Eric's past. Blood bandits, wolves, fire, feral children, and an insane militia are only a few of the problems Eric faces. " 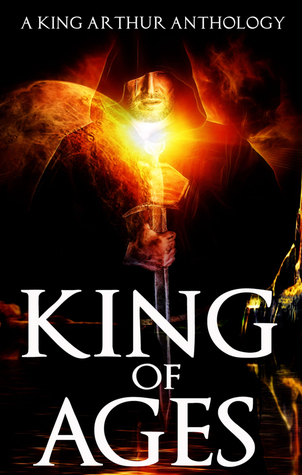 King of Ages: A King Arthur Anthology by Paola K. Amaras et al. This anthology includes some post-apocalyptic tales such as "Twilight's First Dreaming". "What if Merlin was actually advising multiple reincarnations of King Arthur during various points, and places, in time and history? And what if this all began at the end of time? 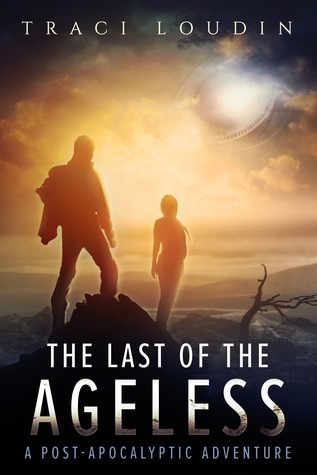 King of Ages is an anthology like no other, showcasing stories that re-imagine King Arthur at several points in history, from the end of days all the way to the beginning of mankind." "A solitary survivor hides in a mountain above a dead city. This is life with the door and windows taped shut. But one day a visitor comes up the mountain." 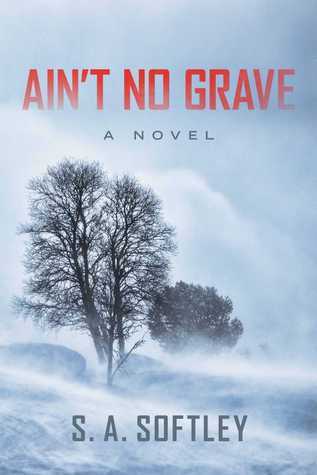 "Death is not what we thought in this debut novel by s.j. romero. Six people, three women and three men, begin a mind-altering journey through Hell as participants in an elaborate war-games environment run by the ruling overseers known as Rivaaja. 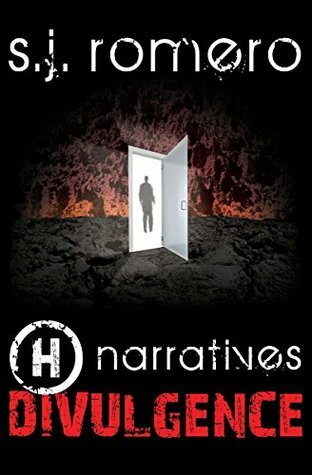 Part suspense, part shock, H narratives: Divulgence is like nothing you've ever read." "In the pursuit of genetic perfection, and the hopes of helping his wife conceive, William Sanderson clones an Angel. The only problem is the clone's powers can't be controlled, so his memory is erased and a mental wall is erected to keep what lingers inside from breaking out. One day, to battle a force the likes which have never been encountered, this clone’s mental wall is broken." "Alien Reality TV meets Earth Apocalypse -- aliens have simulated an EMP and created a bio-infestor that turns a portion of the population in Zombies. The struggle and death of the humans is fodder for selling commercial time for stim-sticks and chewy drinks. Can the humans win against the might of the Boreling Empire?" "Movie deal: Global Sunrise Productions. Upheavals in nature signal the End of Days.Rogue NSA commandos implode mega-highrises on the West Coast,without casualties.They demand an end to the Electoral College,lobbying,and private campaign financing.To pursue the terrorists, the president erroneously orders the invasion of Mexico. His key agent falls in love with the daughter of Mexico's president." 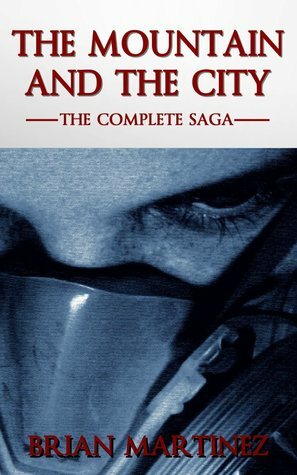 "After an attempt at urban pacification goes horribly awry at the CDC, 99% of the population is wiped out and most of the survivors have turned into cannibalistic freaks known as The Afflicted. 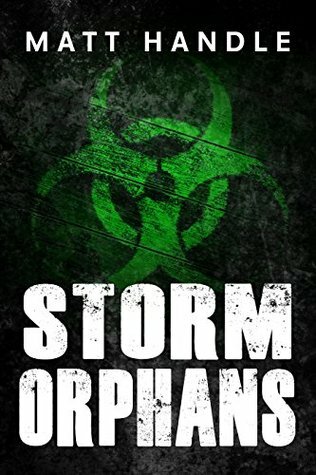 Storm Orphans is the tale of a handful of men and women that avoided that fate and now make their way through a hellish gauntlet from Miami to Atlanta in search of both answers and revenge." "An object impacts earth, but this is no ordinary meteor. 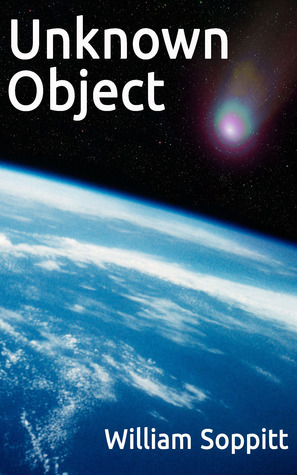 The object rises and continues to impact at various locations. Undetectable by modern technology, it decimates the planet. Only a young woman, made mute by a close encounter with the object, stands in the way of total annihilation. Does anyone have faith in her? " 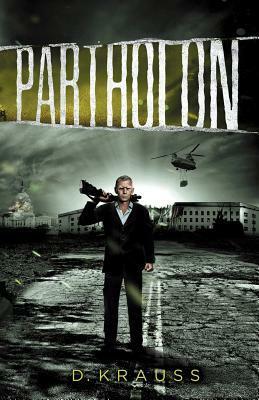 "Based on an old Irish legend of the same name, Partholon is a brutal look at how the just and the civilized respond to anarchy. It will delight lovers of action and military science fiction, like John Scalzi's Old Man's War or Robert Ferrigno's Prayers for the Assassin."